“Where do you get your protein from?” is the question all vegans (and vegetarians) get asked, all the time. It’s an important question, protein is essential in the body for repair and growth. However the question is asked with the underlying assumption that you can only get protein from animal sources. The truth is that plants offer us plenty of protein and are neatly packaged with many other compounds offering nutritional and health benefits – they contain a host of essential vitamins, minerals and phytonutrients, as well as providing us with the fibre we need for a healthy digestive system. Phytonutrients are plant compounds which additionally benefit health and which have antioxidant properties. Antioxidants help to protect our body by fighting free radicals which damage and cause our body to age. Antioxidants are the mechanism by which the plants protect themselves against oxidative stress from the environment so consuming antioxidant containing plants means that they will then protect you. The controversy over plant proteins comes over the completeness of the protein – by this it is meant the number of essential amino acids present in the protein. There are 20 different amino acids in proteins, 12 our body can make and are considered non-essential, 8 our body cannot make and are therefore considered essential amino acids. We have to get the essential amino acids from the food we eat. Animal protein is considered a complete protein because it contains all 8 essential amino acids. 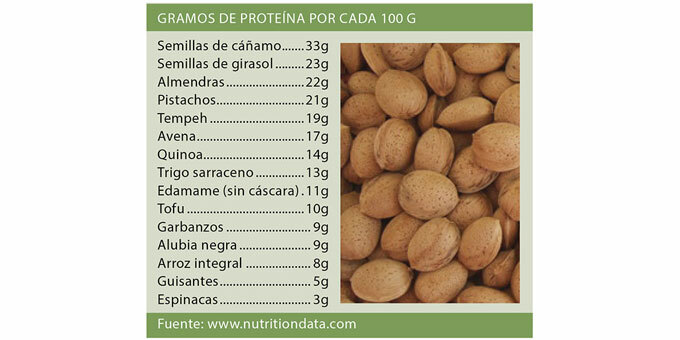 Plant proteins are considered incomplete because they are lacking in one or more of the 8 essential amino acids. 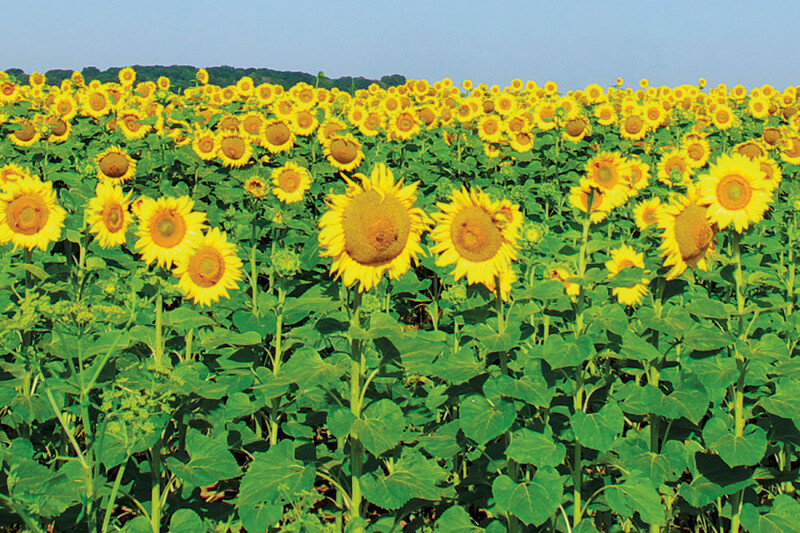 However there are some plant proteins with an almost complete amino acid profile. By eating a variety of vegetables, pulses, grains, nuts and seeds over a day you will supply the body with all the essential amino acids it needs to form complete proteins. If you are very active you may want to consider a plant based protein supplement for ease of ingestion of protein, especially after workouts. Soybeans have a high protein content and an almost complete amino acid profile. They are better eaten in their most natural form as green edamame beans. You could also try Tempeh which is fermented soybeans (available in health food shops) and a staple food in countries such as Indonesia. The fermentation process also has the additional benefit of adding probiotics (essential for healthy gut function). Grains and pseudo-grains are a great staple of plant based diets. Grains such as oats and rice and pseudo-grains such as quinoa and buckwheat all provide protein. 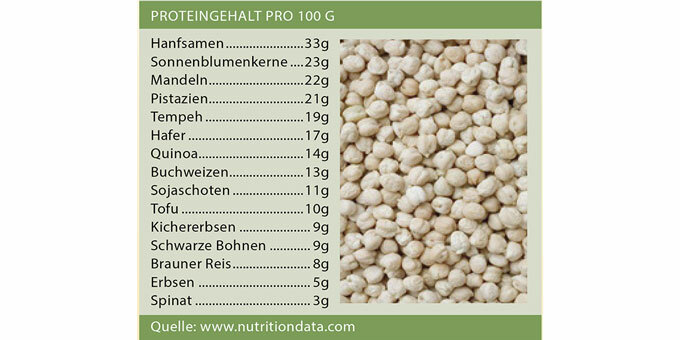 Quinoa is one of the rare plant based proteins that has an almost complete amino acid profile. Combining grains with legumes will provide the body with all eight essential amino acids, for example rice with lentil dahl (an Indian staple). Legumes are an everyday essential in a plant based diet as they are higher in the amino acid Lysine (mostly found in dairy and harder to find in a plant based diet). If you are following a strictly plant based diet try to include half a cup of some kind of bean in your daily diet. There are many ways you can prepare delicious meals from lentils, chickpeas and other beans. The Middle Eastern speciality hummus – chickpeas combined with Tahini (sesame seed paste), garlic and lemon – makes a delicious and healthy dip or spread. Legumes also make great additions to soups and stews. 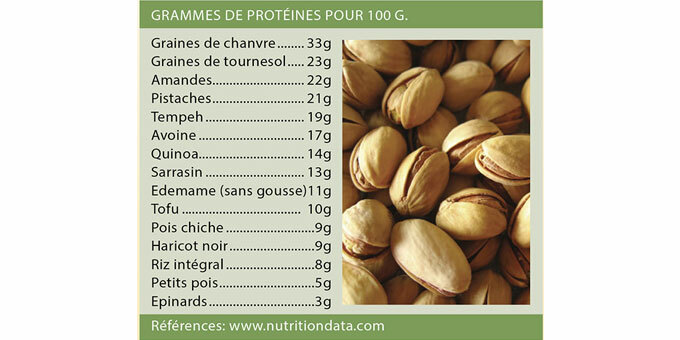 Raw Nuts and Seeds are a great source of protein, energy and healthy fats. Because of their high fat content a good rule of thumb is no more than a small handful (especially if you are watching your weight). Hemp seed in particular has a high protein content and almost complete amino acid profile – sprinkle some onto your salads or on top of soups for some extra protein-crunch. You might also want to try sprouting nuts and seeds. 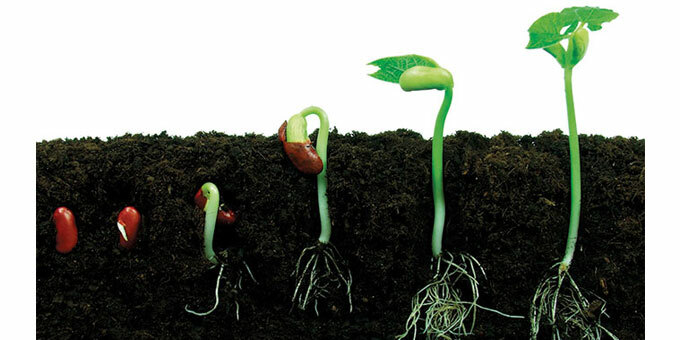 The process of sprouting activates the enzymes within, making their nutrients more readily available for our bodies to digest. You can also sprout legumes. Vegetables and Fruits all contain some protein and it all contributes to your protein count for the day – 100 calories of peas and 100 calories of steak both will provide you with 14g of protein. Aim to have half of your dinner plate full of nutritious, colourful vegetables – your body will thank you for it! 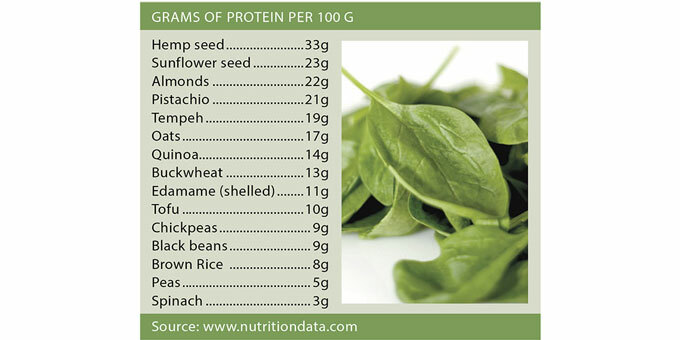 Whatever your dietary preferences it’s good to know that we can and do get protein from plants. If you are interested in following a more plant based diet then feel secure with the knowledge that protein does come from plants too and that there are many other wider health benefits from swapping animal based proteins for plant based ones.